Intermedia Hosted PBX Details | Core Technologies, Inc.
Moving to the cloud improves the reliability of your voice system. That’s because they stay running even if your local lines are knocked out by a storm or a power outage. What’s more, Intermedia guarantees 99.999% uptime. It’s simple to move to Hosted PBX. We work with you to port over your phone numbers with no disruption to your business. Our Cloud Concierge team actually migrates around 5,000 phone numbers to our service every single month. Our Cloud Concierge™ team is here to help you get up and running—including dealing with the phone company to switch your phone numbers. Before we’ll sell you a single Hosted PBX line, Intermedia will ask you to take a free voice quality test. If you’re talking to other providers, you’ll note that our test is more comprehensive and longer-lasting than the rest. That’s deliberate. In order to help assure the best experience for people calling on your network, we’re going to put it through a stringent testing process. This is how we help ensure excellent calling quality even when your network is congested from file downloads or video streaming. What is voice quality testing? Voice quality test helps make sure that your network can support the additional load caused by VoIP phone traffic. In the testing process, we’ll drive rigorous voice and data traffic to your network to simulate real-life loads. We hold ourselves to an extremely high standard. One of the key differences in how we test is that we’ll perform our simulation over three full days. This is important because the traffic on your network often varies depending on the time of day and even the day of the week. For example, think about when you perform system backups or transfer big files to your customers. These tasks create congestion in your network that could impact voice calling quality. And a short test will not detect them. Bandwidth. We’ll verify that your actual bandwidth is sufficient for both data and voice traffic. Packet loss. If packets are dropped on their way to their destination because of network congestion, there will be interruptions to your conversation. We need to spot it ahead of time. Latency. This is when packets take too long to get to the other side, which causes delays in the conversation. Any delay over 60 milliseconds is noticeable and disruptive. Jitter. Jitter is when data packets arrive in different order or at a different pace from when they were sent. If not corrected, jitter causes a noticeable drop in the quality of the phone call. Complete connectivity disruption. A complete disruption of the network connection will naturally cause calling problems. What if we find problems? 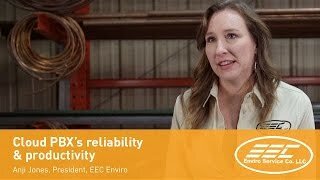 In more than 90% of the tests we perform, we find no issues. But when we do find problems, we do two things: first, we recommend that you hold off on your buying decision until you adjust your network environment. And second, we formulate a plan to fix the issues. In some cases, this is as simple as adjusting your back-up schedule. In other cases, we need to work with your Internet provider—and we’ll actually join calls and reach out to the provider on your behalf to sort out the technical issues. Intermedia’s VoIP Scout enables Hosted PBX and SIP Trunking resellers to conduct comprehensive self-service testing of their customers’ data networks in order to identify and mitigate potential issues that could impact voice quality or system performance. The VoIP Scout Soft Client and Management Portal are available free for all partners. The VoIP Scout Appliance is sold to partners at cost. Once you’ve activated your Hosted PBX service, you will be able to request a number port from our porting team. You will need to fill out a letter of authorization form and provide a recent bill from your current provider. Intermedia will then submit the port request to your current provider. It’s important that you do not cancel your phone service as this will disrupt the port. Yes. With Hosted PBX service from Intermedia, you can order new toll-free numbers or port existing toll-free numbers. Intermedia offers a wide range of phones from Polycom. You can order these phones through Intermedia and they will be shipped to you preconfigured for each Hosted PBX user on your account. Intermedia also supports the Cisco cordless IP phone. Generally, a Hosted PBX VoIP call will use a G729 codec or appx 30 kilobits per second (kbps) of bandwidth for the duration of the call. If you were to add Hosted PBX for five users, and everyone was on the phone at the same time, it would require 150 kbps of bandwidth during the calls. (For reference: 1,000 kilobits is equal to 1 megabit.) Your exact needs will depend on the call volume and call patterns at your company as well the type of IP phones you are using. You can use your existing Internet connection for Hosted PBX as long as the connection is dedicated (not dial-up) and you feel you have adequate upstream and downstream bandwidth for the number of users you are adding. Do I have to deploy Hosted PBX to every Exchange user? No. Hosted PBX can be enabled for as few as one user. It can also be enabled for Active Directory users who don’t have Exchange mailboxes. Can I get Hosted PBX service as a standalone product? Yes. Hosted PBX can either be added to your Intermedia hosted Exchange service, or you can add Hosted PBX service as a standalone product. Where are Hosted PBX services offered? Our Hosted PBX service is available in all 50 United States (Alaska and Hawaii included at no additional cost). Yes, parking unused phone numbers is possible on Intermedia’s Hosted PBX. A small per-number fee is charged. The phone’s LCD displays shows the phone’s number, extension and inbound caller information. Two types of call recording are available. Automatic call recording records all calls placed through the HPBX system from the beginning of the call to the end. On Demand allows the user to record a call on demand by pressing of a few phone keys. Fax machine integration allows you use your existing fax machine. Intermedia provides a “Fax Adapter” to allow your fax machine to connect with the Intermedia network. When an external call is placed on hold, the caller is presented with hold music. Choose Intermedia’s hold music or upload your own. Always know who is on the phone. CallScape is a FREE application that allows you to see who, within your company, is on the phone. Simply install on your Mac or PC and you are able to monitor, in real time, the status of all of the phones in your company regardless of the phone’s location. You can also drag any phone number or Outlook contact on top of CallScape and your phone will place the call. Every extension is allocated a voicemail box by default. Voicemail features include: delete, skip, or save messages – send messages to another mailbox – playback control when receiving messages – change personal greeting and password – 90 minute voicemail storage per voicemail box – message key to access voicemail – numeric message count indicator. With SmartFax Pro service you instantly receive faxes as PDF email attachments. You can view faxes on virtually any web-enabled device and forward to any email address. Using a single local or toll-free number, you can receive faxes on your Windows PC (without special hardware) to send faxes to any fax machine. Our Auto Attendant greets callers and routes calls to the right person or information 24 hrs per day. With Auto Attendant, you sound like a much larger, more professional business and you can program it using the Administrator Portal. CallScape works with both PCs and Macs to make calling easier and more efficient for both regular phone users and power users such as receptionists or administrative staff. See user availability and status indicators – CallScape provides at-a-glance information on the availability of the members of your team. This is especially valuable for power users such as receptionists or assistants, because it allows them to check a person’s availability before transferring a call. A special view on the dashboard provides at-a-glance availability status of all contacts in the team. Integrate with Microsoft Outlook – CallScape integrates with Outlook’s address books to let employees consolidate their contacts information, instead of having to maintain a separate contact list on their phone. 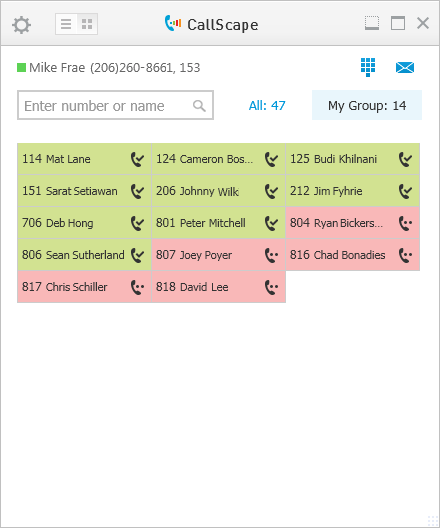 In addition, users can place calls directly from Outlook without having to dial on the phone. 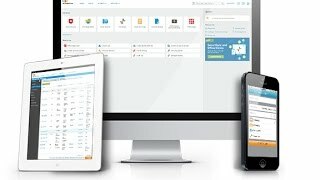 Control your phone with your computer – CallScape lets employees use their computer to simplify many phone-related tasks. They can receive notifications of new voicemails via the CallScape dashboard and listen to them right on their computer. They can also accept or reject calls with the click of a mouse. Integrate with your CRM system – For salespeople and customer support staff that use Salesforce, eAgent or other CRM systems, CallScape provides a significant productivity boost. As a call comes in from a customer, CallScape will launch the CRM and pull up the caller’s records based on the phone number.